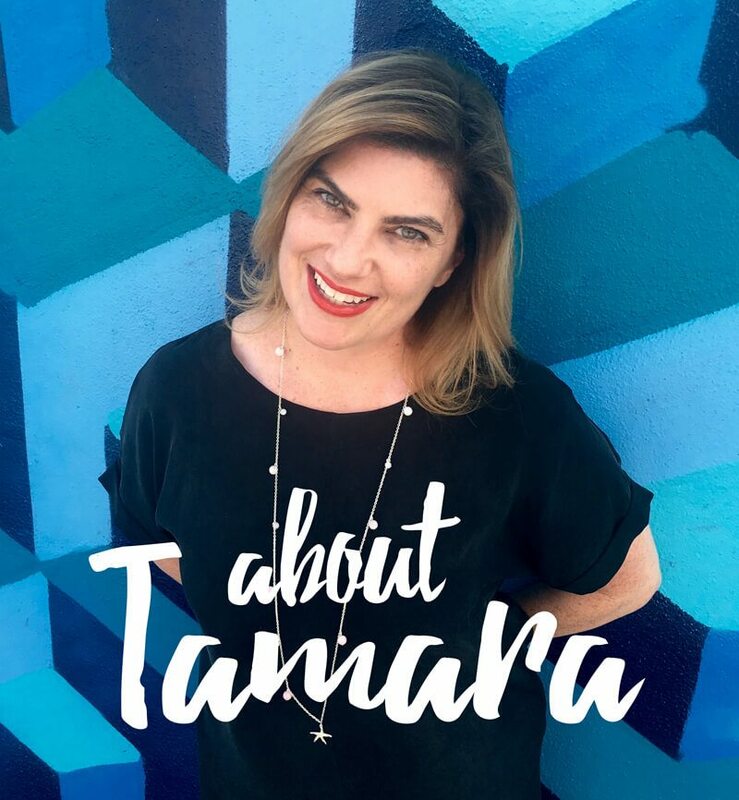 My main project for 2018 is a book exclusive to Radish Fiction. 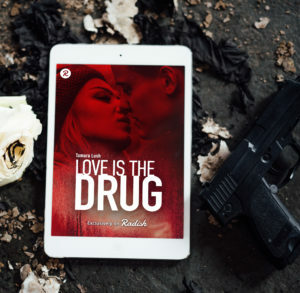 It’s a multi-part serial novel called Love is the Drug, and it’s about a teen girl who falls for the worst possible man. It’s a bit of a departure from my previous work. The heroine is younger and the hero’s a little (okay, a lot) edgier than characters in my other books. It’s set mostly on South Beach in Miami, in the EDM club world. In plotting the story, I realized there are a lot of rock star romances, but few books set in the world of DJs, clubs and festivals. I’m not certain it would resonate with a wide range of traditional romance readers, but I think it’s perfect for readers on Radish and Wattpad – and anyone who is looking for something a little different. This is a total experiment, mostly because I started this project with a long serial in mind. All of my previous books — including The Story Series, which became a serial novel after the publication of the first episode and hours of thought — were conceived as stand-alones. Even Constant Craving, which turned into a three-season serial, was supposed to be one book. 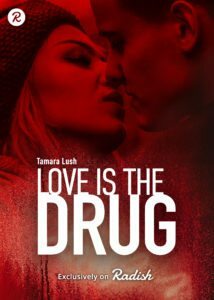 Love is the Drug was a serial from the start, and I hope that comes out in the pacing. I’m guessing the story will be at least two, possibly three, seasons. As of today there are 14 episodes (chapters) available to read. New episodes release on Mondays, Wednesdays and Fridays, and in Radish-speak, an episode is a chapter. I hope everyone enjoys my journey into a telenovela-like saga of love, lust, drugs and danger. I can’t believe Griffin Davis wants me. Griffin Davis, who’s seven years older and used to be my brother’s best friend. Griffin Davis, who’s heart-stoppingly handsome, lives in a beautiful house on the beach and drives a Porsche. Griffin Davis, who refused to touch me until I turned eighteen, and when I did, worshipped and adored me​ in every possible way​. He’s the kindest person I’ve ever met, and treats me like a precious object. Breakfast in bed, snuggles on Sunday mornings, flowers every week. He gave me a credit card with no spending limit, ​bought me a pair of Jimmy Choos and is paying my college tuition. When I was nine, I said I wanted to marry him. And it looks like my childhood wish could come true. There’s only one catch: he’s one of Miami’s biggest drug lords. He’s the perfect boyfriend in every way — but one. Subscribe to my mailing list for book updates, exclusive content and more! I'll never sell or share your info.